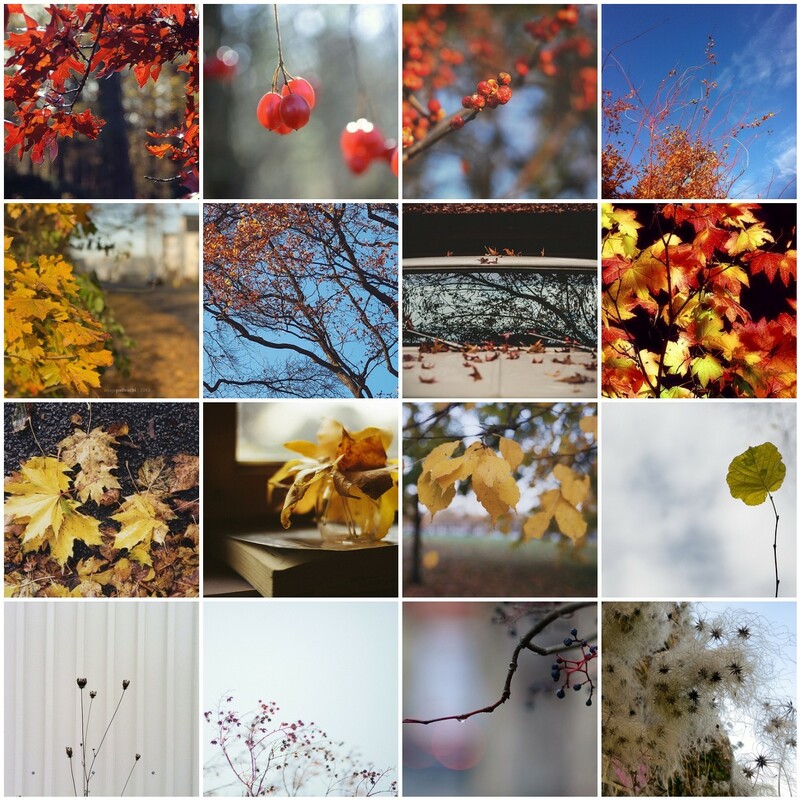 Oh you’ve been capturing the beauty of Autumn so beautifully in our everyday flickr pool, today’s mosaic just seemed to make itself. Thank you again for sharing these beauties and so many more with us at Mortal Muses. And if you haven’t already been out there with your cameras to catch those last leaves, get out there soon before they all disappear. I know I mean to get out this weekend with some cameras and a roll or two of film! looks amazing. Ty for including me. such beautiful colors and light. My my, Autumn makes for gorgeous mosiacs! thank you so much for including my photo in this beautiful celebration of fall. It is an honor always to be chosen by you amazing ladies! Oh yes, what beautiful photos. Makes my heart smile. Congrats to all of you. I’m totally in love with these autum leaves and colours! Thank you for including my image!